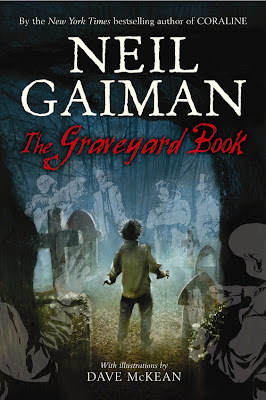 I just got sent the first version of the Dave McKean cover of the Harper edition of The Graveyard Book. A book that is now three weeks late, and inside of which I'm somewhere hacking my way through the jungle of Chapter Seven. There's nothing like being sent a book cover for the book you're currently writing to concentrate the mind wonderfully.